UPDATE: Chief Minister Michael Gunner says he is "shocked" by a video showing a Mitchell St tourism worker hosing water in the direction of an indigenous man sitting on the street. Mr Gunner posted on his Facebook page that the footage made him upset. "This is not what the Territory is about. This is not what I grew up knowing and loving about my home," he wrote. "I know and love the community that turned out in the hundreds at 'Run With Dad' to raise awareness for prostate cancer a couple weeks ago." "The community who raised thousands of dollars in the name of terminally ill mum Candace McLean and who are rallying around Ryan Clay and his family. "We are the home of heroes like Steve Cardona, Tarick Biddlescombe Sullivan, Melissa Lay, Eddie Dhurrkay and Shane Tipungwuti. And we are the home of life-long community campaigners like Sister Anne, Charlie King, Andrea Mason. "The Territory is about community and supporting one another, not what we are seeing on Facebook." 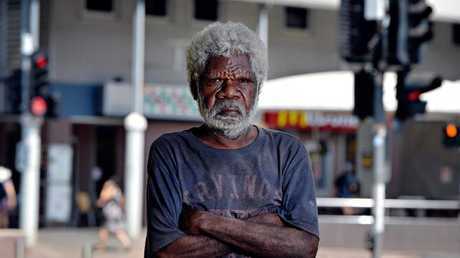 Jocky Gaibaral, 57, from Maningrida. EARLIER: A VIDEO has emerged online of a Mitchell St tourism worker hosing water in the direction of an indigenous man sitting on the street. In the video, Robert Marchant from Darwin Fishing Office is seen hosing water near Maningrida local Jocky Gaibaral. Mr Gaibaral said he was sitting outside the store last week when Mr Marchant came out and started spraying. "I was near the door first then they pushed me to the side," he said. "It was first thing in the morning. I was cold after that." Mr Gaibaral said it wasn't the first time it had happened. However, a shopowner who witnessed the incident said Mr Marchant was trying to clean the pavement. "He was not hosing directly, maybe his intention was to move him away, but he was not directly on him," the shopowner said. The video first appeared on the Welcome to Country web page, after it was sent in by a young Aboriginal woman. The website removed her voice from the video for "safety reasons". The woman who recorded the footage was on holiday in Darwin and was outraged to witness the incident. Since the video went online, reviews of Darwin Fishing Office have dropped to 1.2 stars on Facebook, with almost 20 negative reviews. The company has since deleted its Facebook page. When approached by the NT News, Mr Marchant refused to comment. 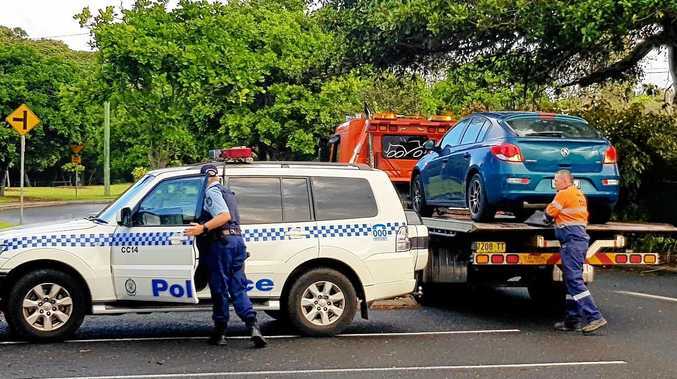 An NT Police spokesman said police were aware of the video and were making enquiries.